Billie Burke McCasland Wood, daughter of Billie Carroll McCasland and Loma Ione Taylor and married to Dillard Ernest Wood. 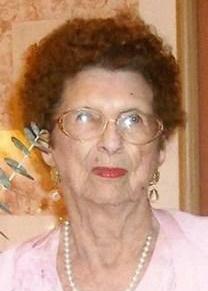 Billie Burke Wood, 96 of San Angelo, went home to be with the Lord on March 10, 2013 while in a local hospital. A memorial service will be held at 11a.m. Thursday, March 14 at Glen Meadows Baptist Church with Rev. David Kelly (grandson) officiating. Billie was born in Bradshaw, TX, on November 28, 1916, to Billy and Loma (Taylor) McCasland. Billie,the oldest of 4 sisters, never forgot the day she met her husband-to-be Dillard Wood at a track meet while she was with one of her friends. She and Dillard had their wedding after VBS (Vacation Bible School) on a Sunday. After marriage and the birth of their only child, Linda, she and Dillard moved to San Angelo in 1941. Billie was a faithful wife and mother, loved people, and often told them about Jesus. Because of her passion for young married adults, Billie served them well into her 80s. She had a tremendous love of Jesus and people. She read through the Bible over eight times since her husband's passing in 2004. Additionally, Billie sold Avon for over 68 years including her final 9 years while living at Myrtlewood Estates. She is survived by Two Sisters: Ocoee Meadows of San Antonio, TX and Jo Pappasan of Arkansas; son-in-law: Verlin Kelly of San Angelo, TX, granddaughter: Lisa Kelly of Kent, WA; Grandson: David Kelly & wife Michele of Paradise, TX; 5 Great-Grandchildren: Joshua of Clinton, MS; Michael and wife Laura of Shawnee, OK; Sara and Hanna Kelly of Paradise, TX; 1 Great-great-grandchild on the way. In lieu of flowers, please support the mission efforts of Glen Meadows Baptist or First Baptist Church of Paradise, TX.